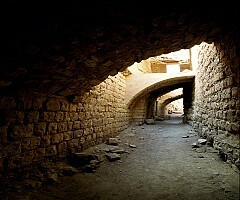 Shobak is situated midway between Kerak and Petra and is 248km from Amman, 25km north of Petra. 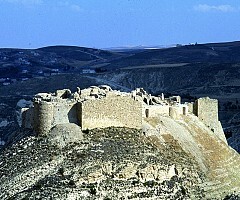 The castle was built in 1115 by Baldwin I of Jerusalem during his expedition to the area where he captured Aqaba on the Red Sea in 1116. Originally called 'Krak de Montreal' or 'Mons Regalis', it was named in honor of the king's own contribution to its construction (Mont Royal). 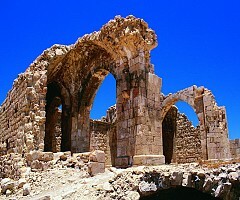 It was strategically located on a hill on the plain of Edom. It remained property of the royal family of the Kingdom of Jerusalem until 1142, when it became part of the Lordship of Oultrejordain. and then passed to Raynald of Châtillon. 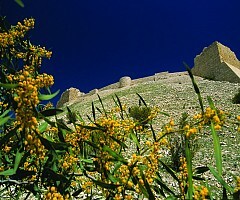 Raynald used the castle to attack the rich pilgrim’s caravans that had previously been allowed to pass unharmed. He also built ships there, and then transported them overland to the Red Sea, planning to attack Mecca itself. This was intolerable to the Ayyubid sultan Saladin, who invaded the kingdom in 1187. After capturing Jerusalem.after almost two years the castle finally fell to his troops in May 1189.